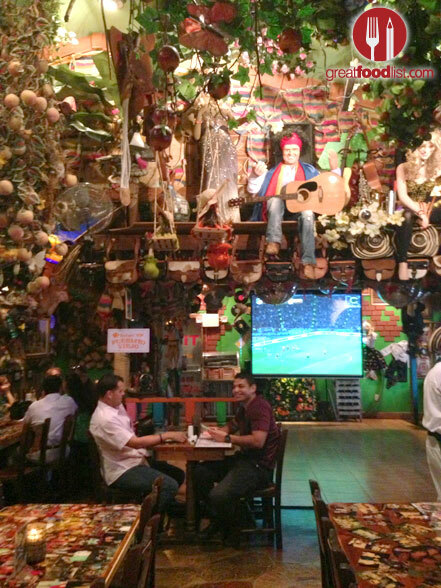 I’m not sure that there’s a direct Spanish translation for the word “kitsch,” but I feel like if I were to look it up in my English-Spanish dictionary it should simply have a picture of the interior of Pueblito Viejo #2. 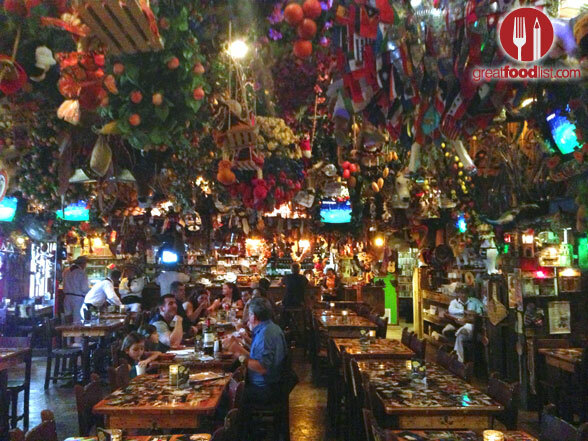 Taking a cue from a variety of different colorful and extravagant establishments in Colombia (the famed Andrés Carne de Res certainly comes to mind), owner Gonzalo Rodriguez opened the first Pueblito Viejo in Chicago back in 1994. 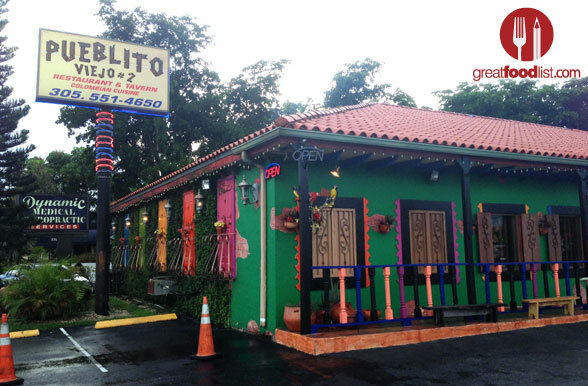 In 2003, he launched #2, located in Westchester, and has been serving up authentic Colombian fare to Miami diners ever since. In addition to the delicious food, this restaurant and tavern, consistently offers its guests a family-friendly atmosphere, a full-service bar, international music, live entertainment, tons of fun, and an all-around great time. 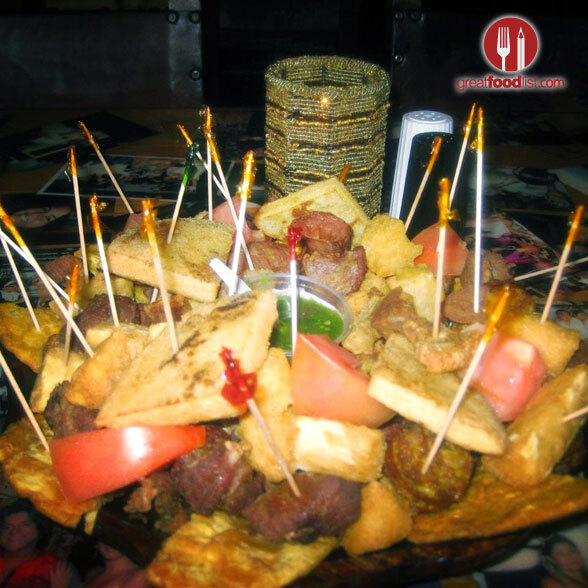 After making your drink selections, and they offer a full bar with anything from house wine and sangria to beer-garitas or a traditional bottle of Aguardiente for the table, my recommendation would be to start with an appetizer for the table. This is not a meal you want to rush through, so take your time. With choices like Arepas, Tostones and Empanadas you certainly can’t go wrong, but my personal favorite is the Picada “Pueblito Viejo” ($28). 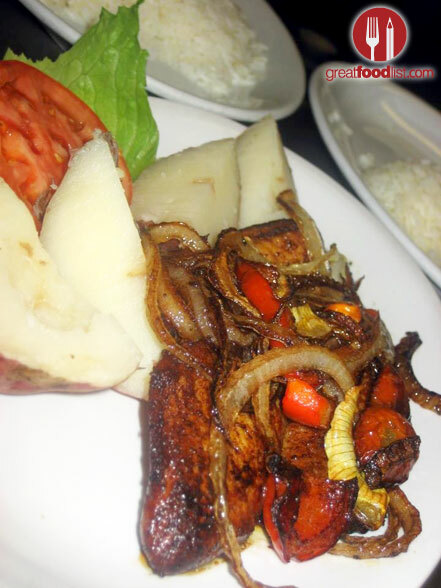 Although listed as a serving for two, this plate of assorted bite size delicacies includes pork meat, Colombian sausage, green plantains, cassava, arepas and tomatoes, and can easily feed a table of 10. 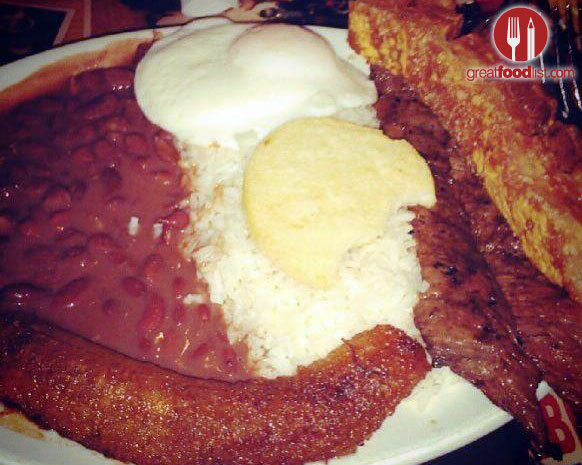 When it comes to main courses, you can never go wrong with a Bandeja “Pueblito Viejo” ($15). This take on the traditional Bandeja Paisa comes with a choice of grilled or ground skirt steak, red beans, rice, fried pork rinds, fried sweet plantains, a fried egg and an arepa. That said if you’re looking for something slightly less heavy, there are plenty of other dishes to choose from. 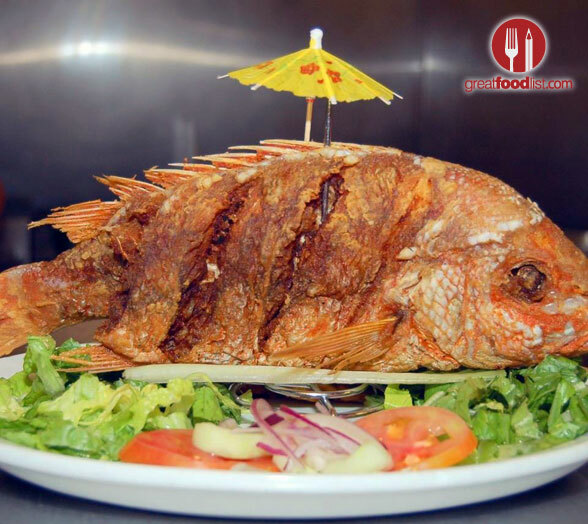 You could go the fish route with the Pescado Frito (Market Price), a whole red snapper with lettuce, tomatoes and fried green plantains, or the Filete de Pescado ($12.00), a breaded or grilled filet of fish served with salad and salted boiled potatoes. 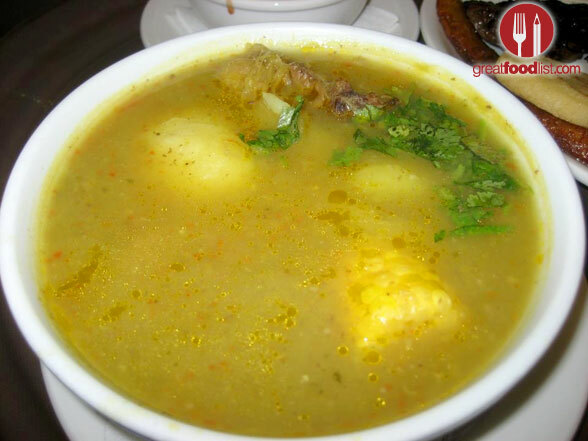 Alternatively, you could try a Sancocho ($11.50), a traditional Colombian soup made with either hen or beef ribs, potatoes, cassava, green plantains, and a side of rice and arepas. Now, here’s where things get interesting: about halfway through the meal the lights will go down and a duo of singing troubadours will emerge to serenade and make fun of the entire dining room. When you’re laughing at the misfortune of others, don’t think you’re safe because you’re sitting in a corner. They will come to you and they will come up with the most hilarious jokes about you. In my case, I was compared to Harry Potter. And I loved it. In addition to the troubadours, the night will continue with music, dancing, live performers taking on classic Latin songs, and more. A typical night at Pueblito Viejo #2 can start around 8:00pm and end around midnight. That is, if you were lucky enough to get an early table. Otherwise, the waiting area has been known to be full up until closing time at 3:00am. 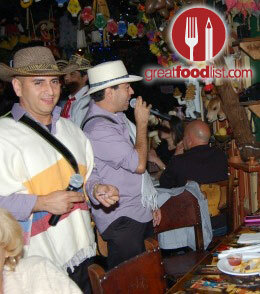 And for good reason: with deliciously traditional Colombian food and a delightfully authentic Colombian atmosphere, if you’re looking for a place to celebrate anything from a birthday or graduation to an office holiday party or simply a fun night out with friends, Pueblito Viejo #2 is the place to go. Hi Jorge, thanks for reaching out! 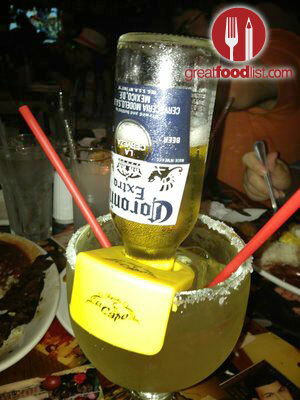 I hope your mom enjoys her birthday at pueblito viejo. Contact them directly to make arrangements, what you read on the post is simply our dining experience with them.